We're on I-270's New Chain of Rocks Bridge, and this is a view of the old Chain of Rocks Bridge. Another view of the old Chain of Rocks Bridge, over the Mississippi River. 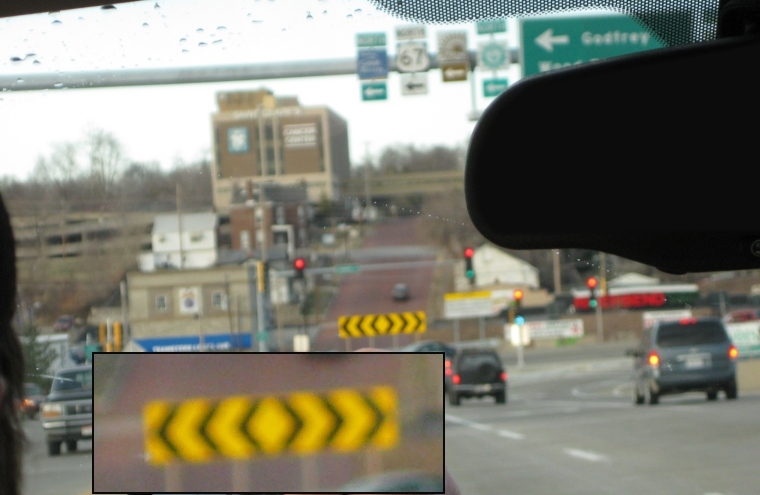 Entering Missouri on I-270 at the north end of St. Louis. 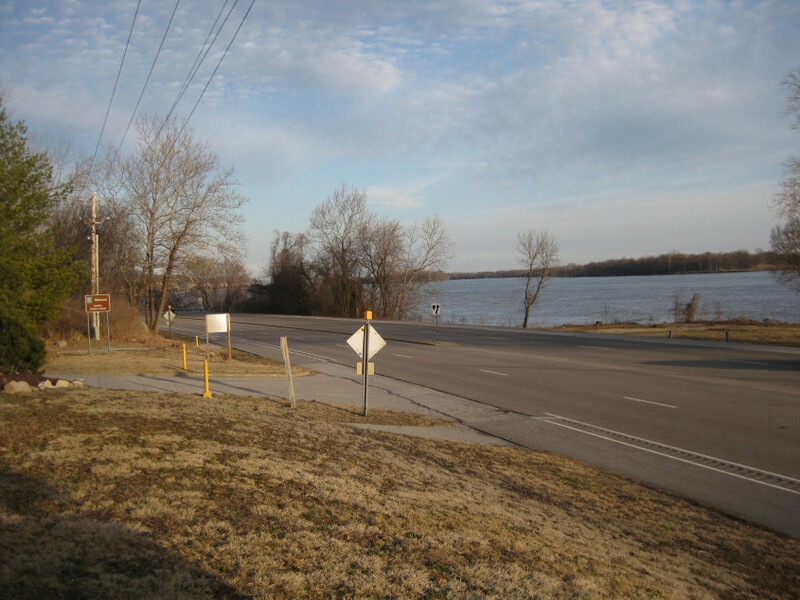 North on MO 367 (Lewis & Clark Boulevard) out of St. Louis. MO 367 is a freeway briefly here and used to be US 67. It even grows a frontage road (Lusher Road). MO 367 overlays a plain old surface road here. The interchange with I-270 obliterated a very tight cloverleaf exit to Dunn Road. By this point, we've picked up US 67. 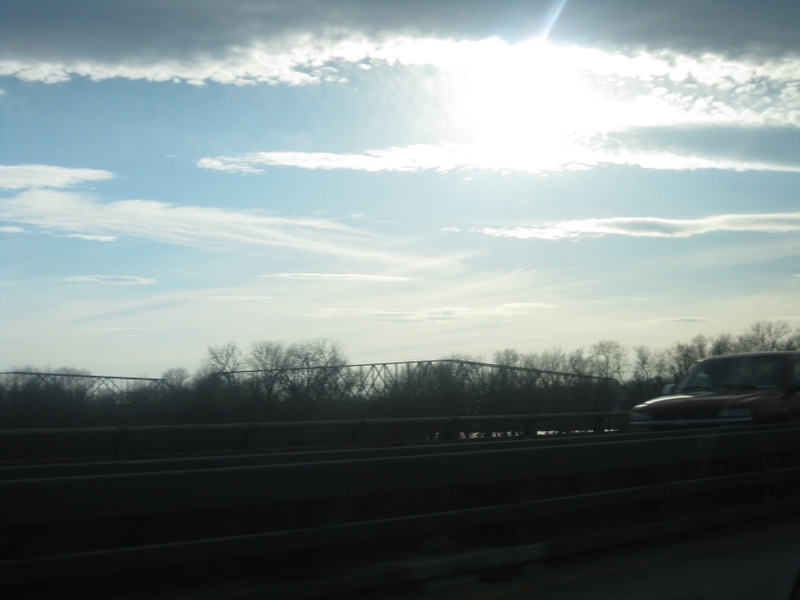 The bridge you see is a rail span over the Missouri River. 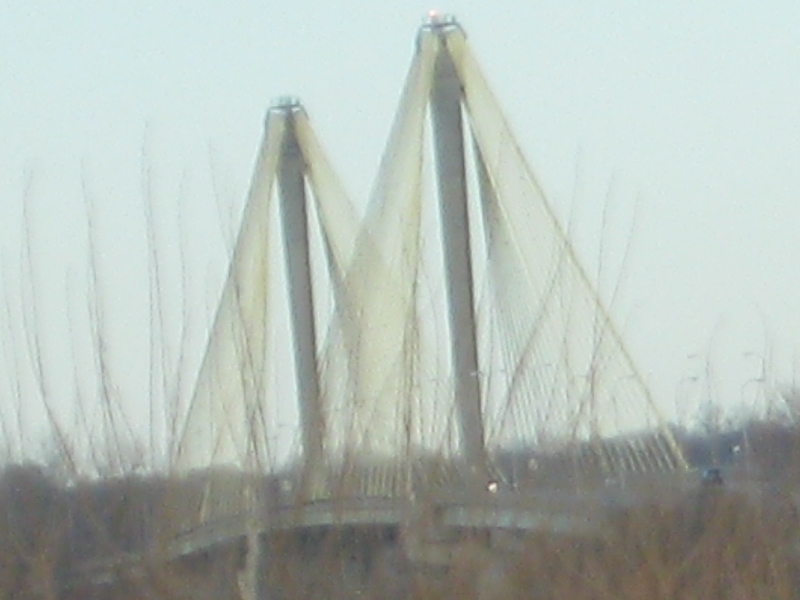 The Clark Bridge, a 1994 structure that takes US 67 across the Mississippi River to Alton, IL. It replaced a 1928 bridge, and has dedicated bike lanes. 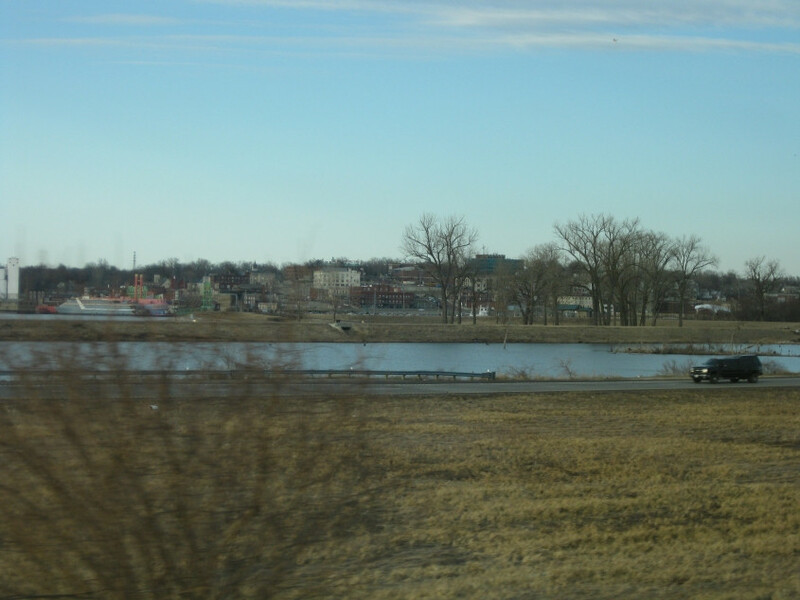 A view of Alton, which is a central city in its own right. (Yes, there is an Occupy Alton. I've checked.) This view looks even better in person. The road in front may be the southbound side of US 67. Another view of Alton - hometown of Miles Davis. 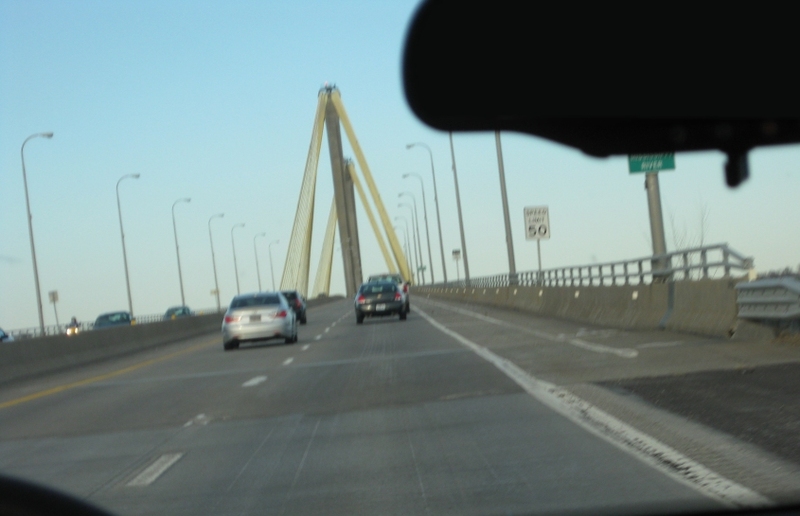 Entering Alton on the Clark Bridge. 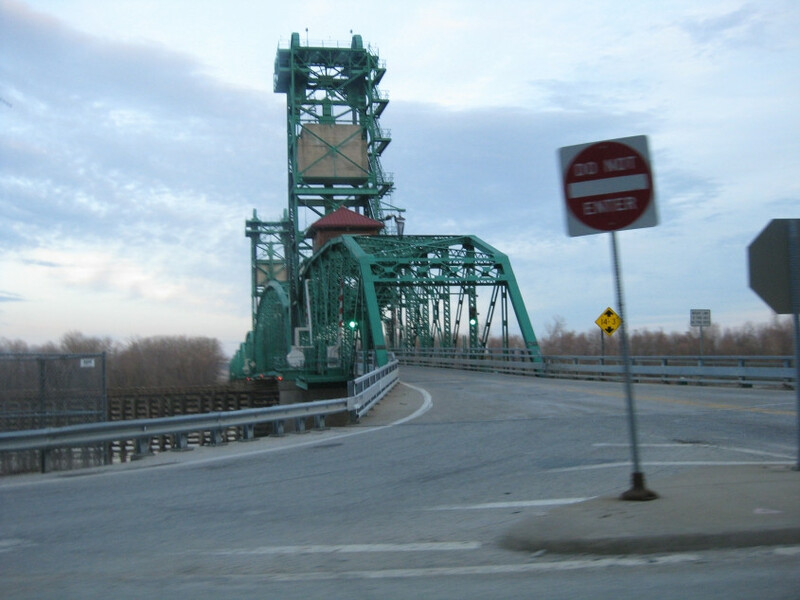 The end of the Clark Bridge. The steep street in the background is Oak Street. Google Street View confirmed a brick pavement. It has an enclosed walkway over the street connecting buildings. US 67 uses Landmarks Boulevard through Alton and goes under a footbridge here. 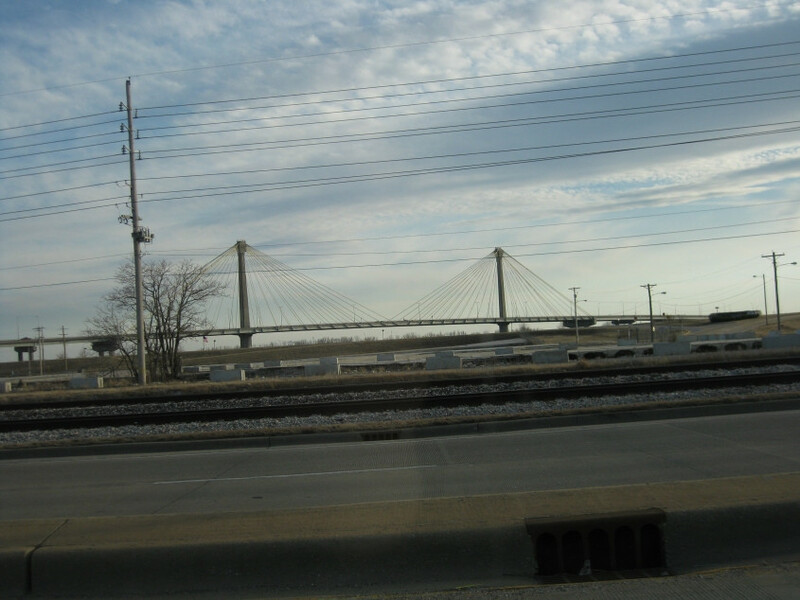 Looking back at the Clark Bridge from US 67 in Alton. We pick up IL 100 (Broadway) in Alton. 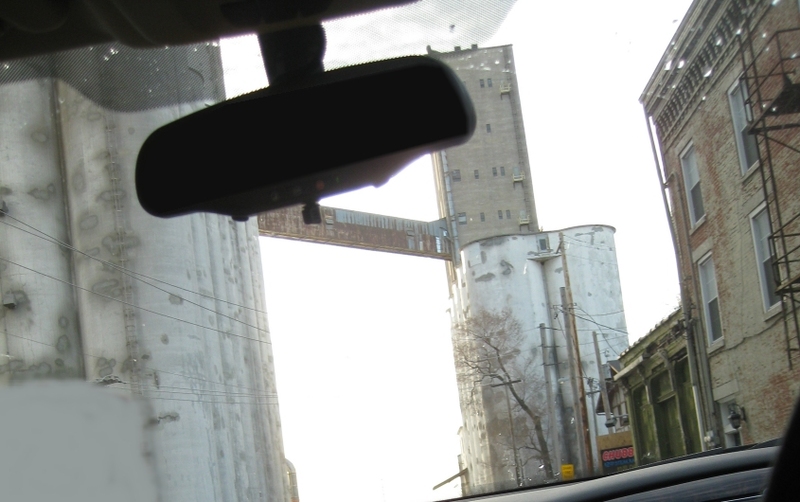 Here we go under part of a mill, which looms high above the road. IL 100 follows the Mississippi River northwest of Alton. 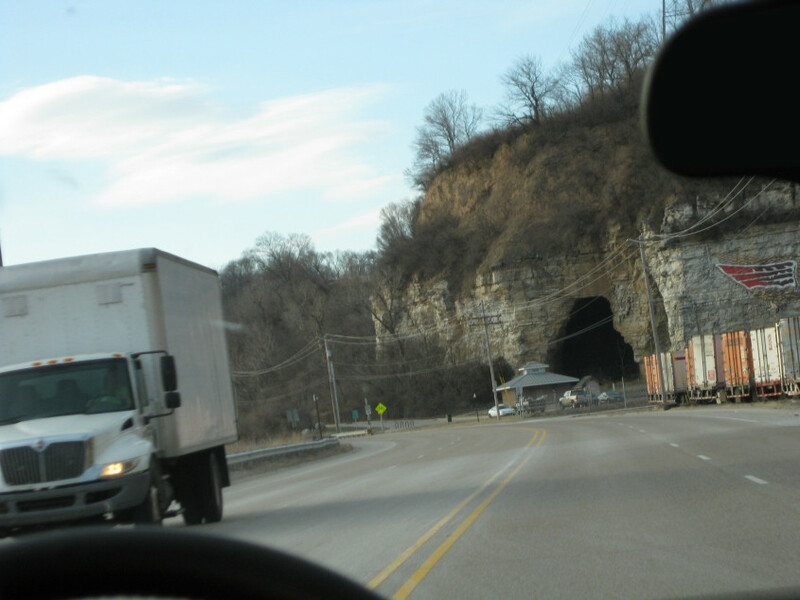 Still on IL 100 in Alton, there seems to be some sort of cavern. IL 100 in Grafton, IL. IL 100 uses Main Street in Grafton. We cross the Hardin Bridge - officially the Joe Page Bridge - a 1930 span that carries IL 16/100 over the Illinois River in Hardin, IL. As you can see, the Hardin Bridge is a vertical lift bridge. 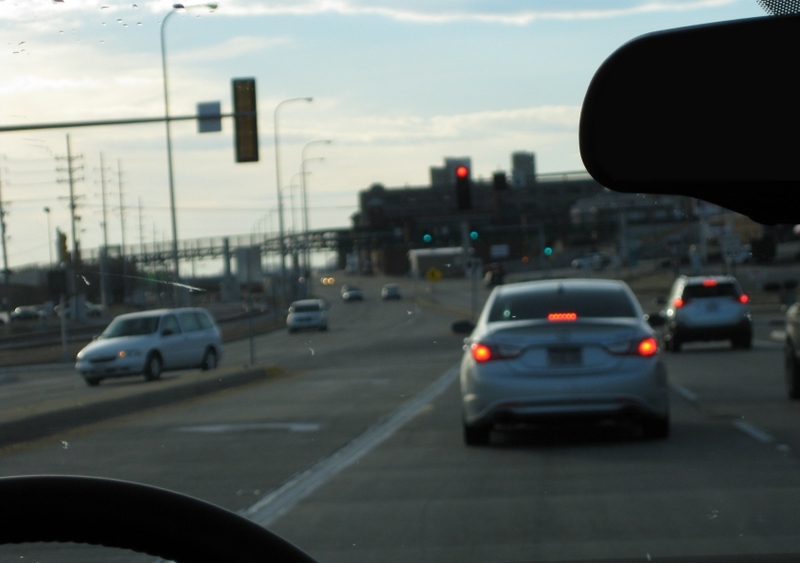 It's early Sunday morning now, and we're crossing the Poplar Street Bridge into St. Louis. 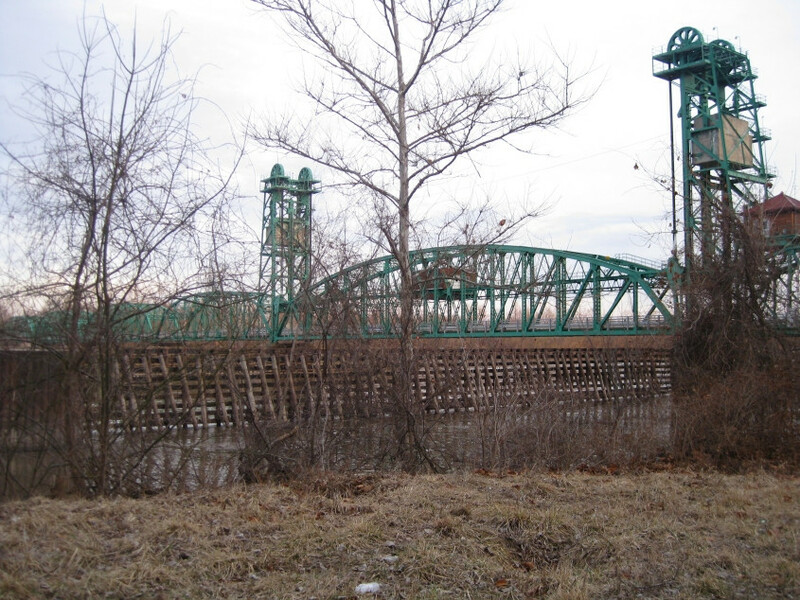 The 1967 bridge is officially known as the Congressman William L. Clay Sr. Bridge and previously the Bernard F. Dickmann Bridge. 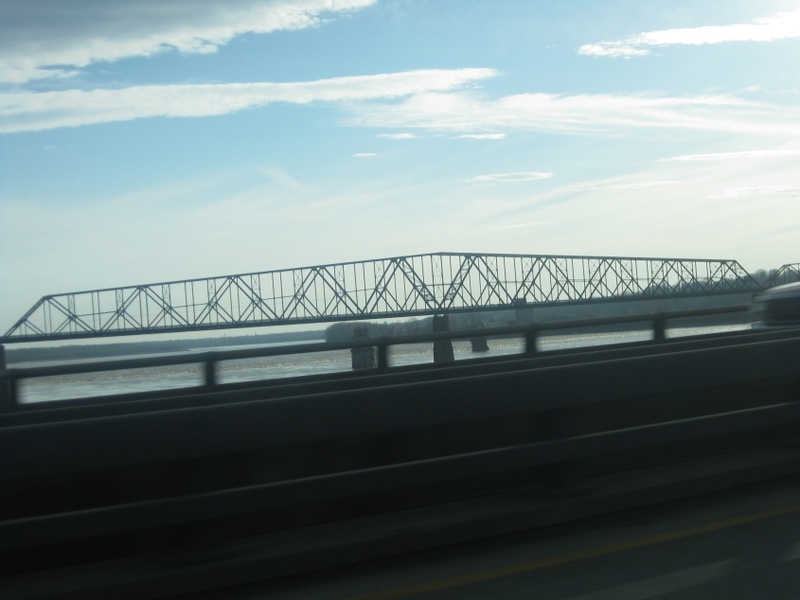 The span carries I-55, I-64, and US 40. 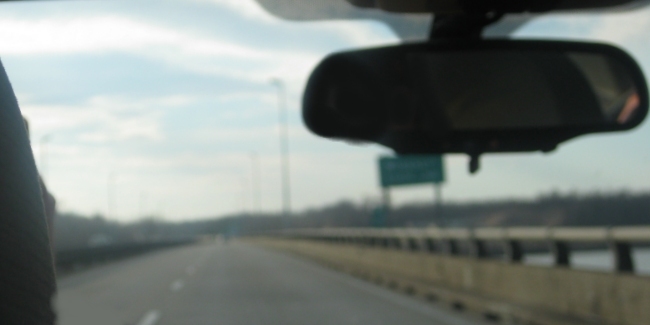 It also had I-70 before the new bridge was built, and it also used to have US 50 and US 66. I'm not sure where this is. East on I-64 in downtown St. Louis. It's a double-decker freeway here, and we're on the lower deck. 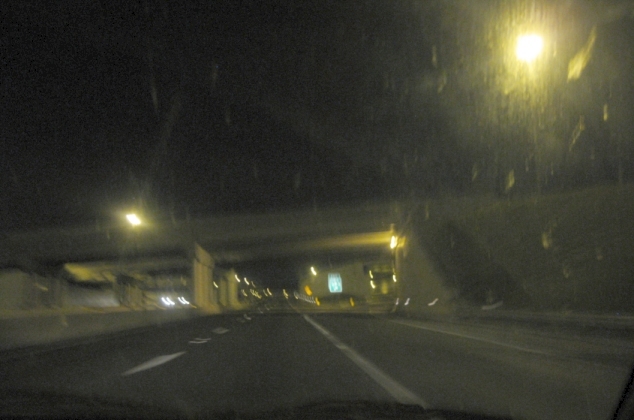 The freeway here is also US 40. It didn't become I-64 until 1987.